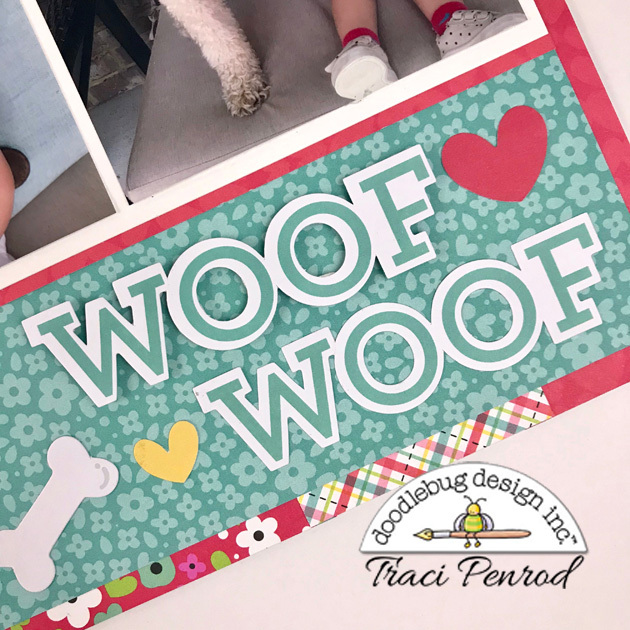 I decided to change it up for my post today with a page layout about my granddaughter and this adorable pup, Bella. Rylee has always loved animals, so when my sister brought her poodle to visit I knew Rylee would be excited. When I saw these photos, I couldn't wait to document this new friendship. I wanted the background to be blue to match Rylee's beautiful eyes, but I also wanted to create a little more detail around the edge. I started with a sheet of 12x12 white card stock and adhered some scraps from my So Punny collection around the edge of the white base. 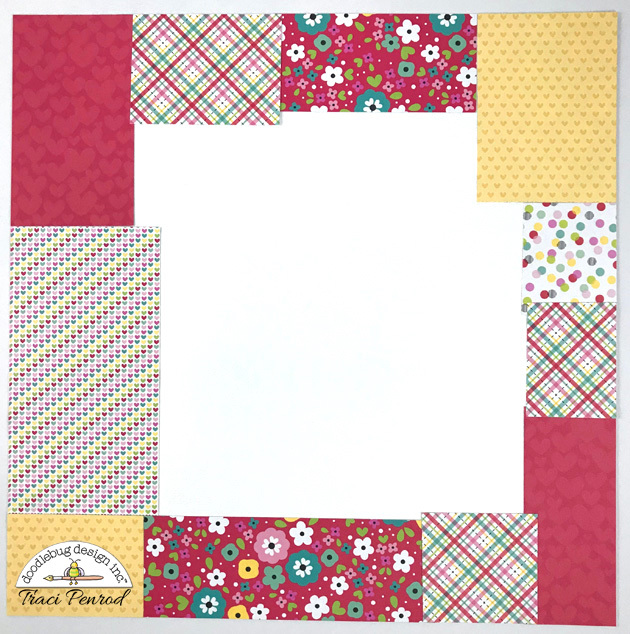 I cut a sheet of "I'm Daisy for You" paper to 11.5"x11.5" and adhered it to the center of the base page, then built all of my photos and embellishments on top of that. 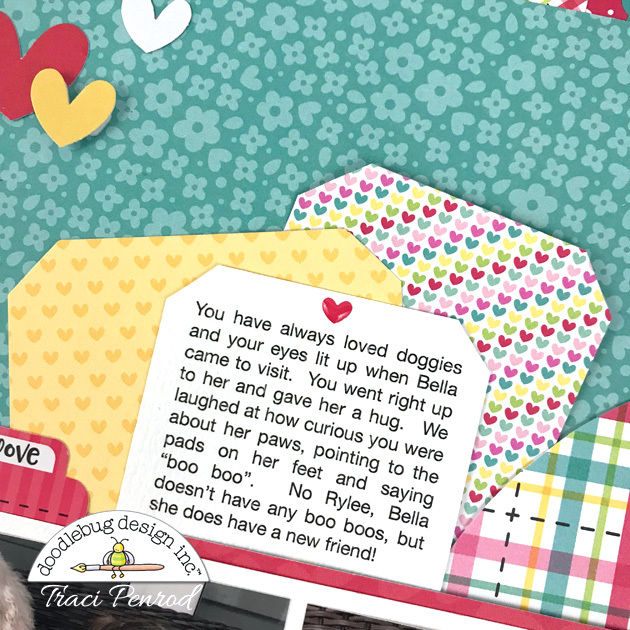 Some of the cute die cuts are from So Punny, and others are from the Puppy Love collection. I use the tiny heart sprinkles on just about everything I create. They are perfect for a sweet, tiny pop of color. Thanks for stopping by today everyone! I hope I've inspired you with this fun, colorful layout. Happy scrapping! 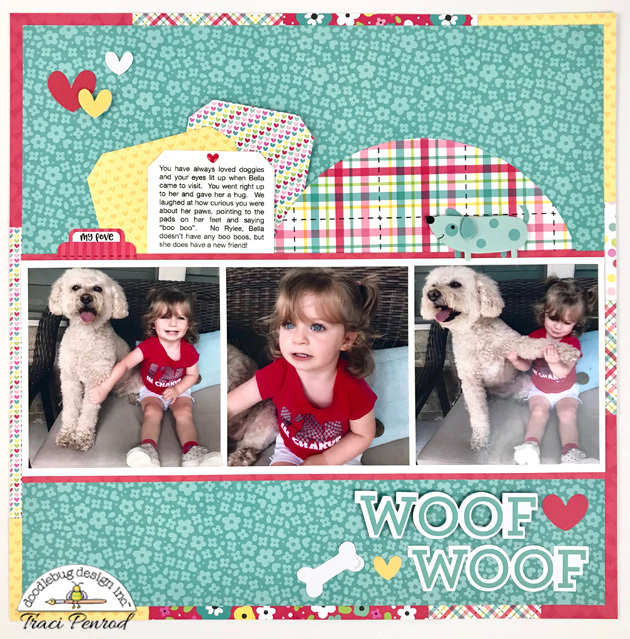 Oh the cuteness... both the layout and Rylee!!! !